Our Guaranteed Authentic CCell TH2 Oil Cartridge uses a unique and state of the art ceramic atomizer, glass tank, and your choice of ceramic or wood mouthpiece. We are proud to bring the TH2 into VPM’s offerings of oil cartridges. The CCell TH2 oil cartridge is at the forefront of the oil cartridge industry. CCell uses an innovative new ceramic coil design that makes for a much better vaping experience. 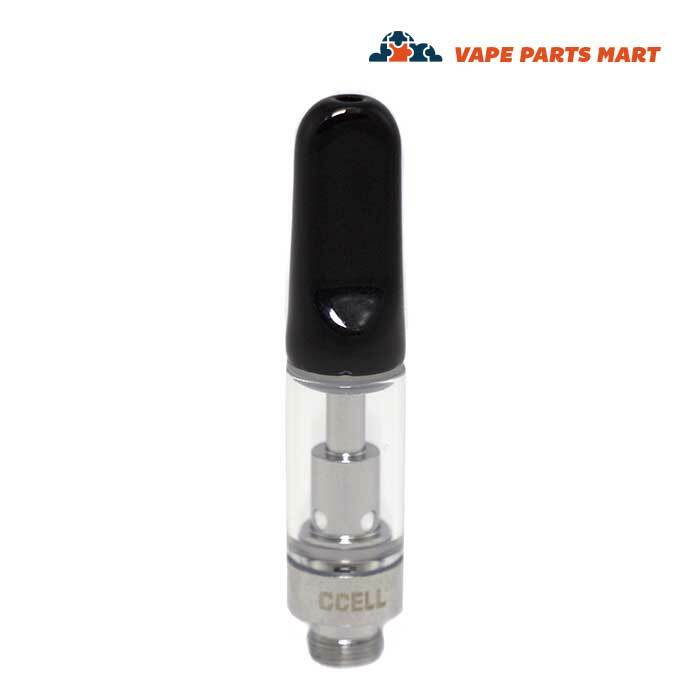 All CCell Th2’s comes in three size options and can be easily opened and resealed. The CCell TH2 Oil Cartridge is simply the best on the market today. 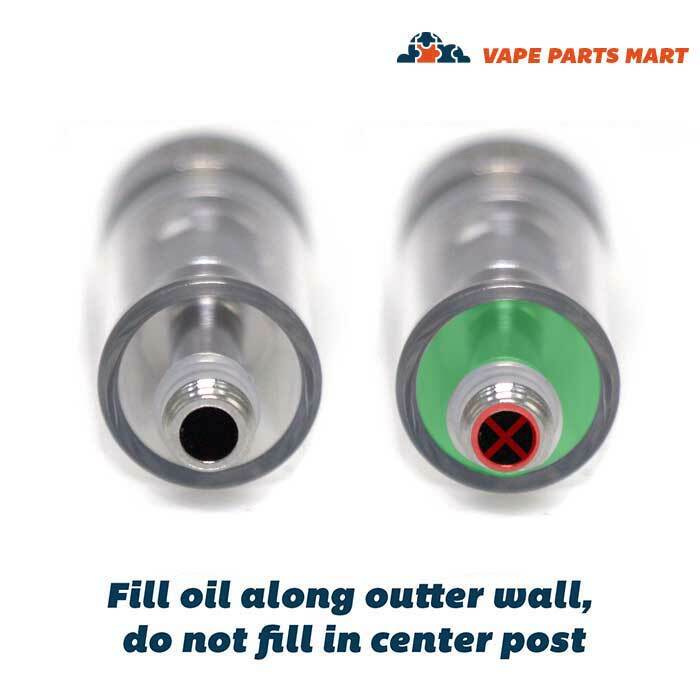 Can CCell TH2 Oil Cartridge be refilled? Yes. Should they be refilled? Maybe. The manufacturer does not recommend re-filling any CCell cartridge. Most likely this is a convenient recommendation by them partly because they want you to buy more cartridges. We tell our users to plan on a single fill but if you get extra re-fills consider it a bonus. 1. They can’t guarantee 100% leak proof rates, but if you have a leaky cartridge it’s most likely user error. 2. Changes in elevation can cause a cartridge to leak, for example air travel or elevation change while driving. 3. It’s best to store your filled cartridges in cool, dry places. Increase in temperature can cause leaking, so leaving your cartridge in a hot car may cause leaking. 4. If you can’t avoid temperature and elevation changes, store your cartridge with the mouthpiece pointed down so the atomizer can breathe and there can’t be leakage through the bottom. 5. Possibly more importantly than any point above, after filling, cap your cartridge within two minutes to create a vacuum within the tank. Beyond ten minutes after filling, you run a greater risk of the atomizer completely saturating and leakage occurring through the bottom of the cartridge. Putting your mouthpiece on the cartridge is like putting your thumb on the top of a straw, the liquid will remain in the straw. Those are the basics, but if you want to learn more of the physics behind it watch this video. 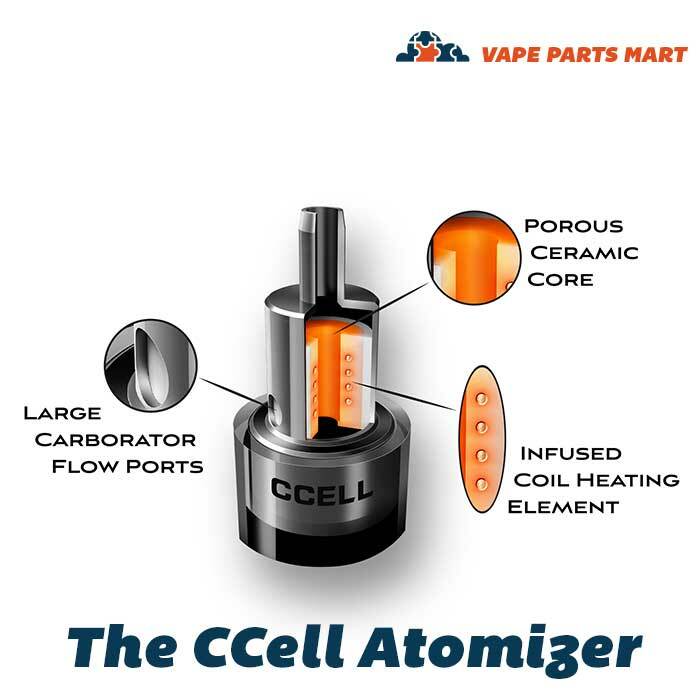 CCell is a brand that is manufactured by the Smoore Technology. They were one of the very first companies to start manufacturing vape products and since their inception in 2006 have grown exponentially to become the industry leader in the vaporizer manufacturing world. Because of the sheer size of the Smoore Technology company they are able to invest millions of dollars into the development of new and better vape products including the CCell Palm and CCell Silo battery. Their patented ceramic oil heating element is just one thing that sets CCell apart from the competition. This heating method is so much better than the traditional wick coils. The cartridge comes empty and can be filled and refilled, so it’s a multiple use cartridge. There are several advantages to using a CCell TH2 Oil Cartridge. The genius behind this atomizer is that the ceramic coil actually works to absorb the oil, which leads to a bunch of added benefits. The most noticeable benefit is that it will vape your concentrate oil much more efficiently, virtually eliminating waste. The second benefit of using a CCell TH2 Oil Cartridge is that it provides an even distribution of heat to the distillate oil. The third advantage to the CCell cartridges is that they are able to use thicker oil than most traditional atomizers. There are three size options for the CCell TH2 Oil Cartridge. Those sizes are 0.3ML, 0.5ML, and 1.0ML. You can typically fit about 1 gram of an oil concentrate, such as distillate, in a 1.0ML size cartridge. Out most popular seller is the CCell cartridge 1ML size. The official part numbers for the CCell cartridges are the TH203, TH205, and TH210, therefore it’s really easy to understand what each part number means. 0.3ML (gram) – CCell TH203 empty oil cartridge. 1.0ML (gram) – CCell TH210 empty oil cartridge. Each cartridges has a replaceable CCell Mouthpiece Tip which can be screwed onto the top of the cartridge. Cartridge mouthpieces are available in Redwood, Black Ceramic, or White Ceramic. The CCell TH2 Oil Cartridge is commonly referred to as the CCell Palm cartridge. There are basically two types of CCell cartridges, disposable and reusable. 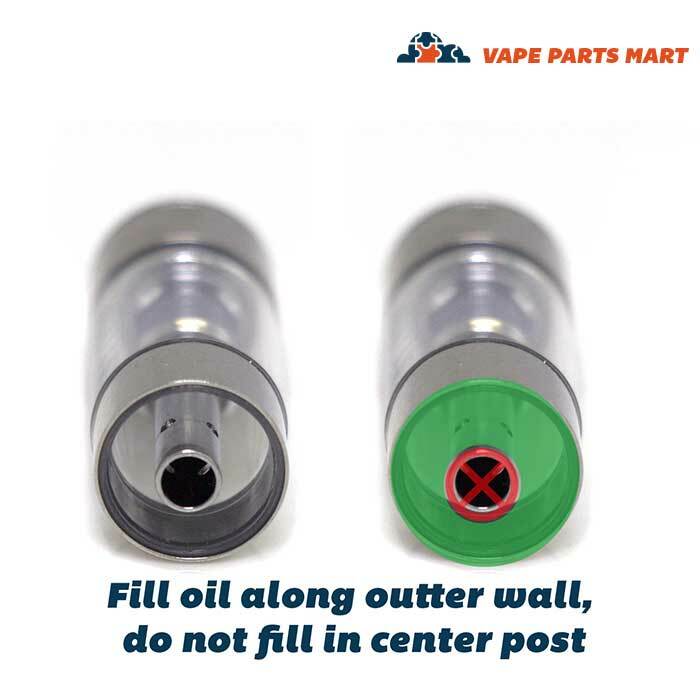 This product is the TH2 reusable empty oil fill cartridge. 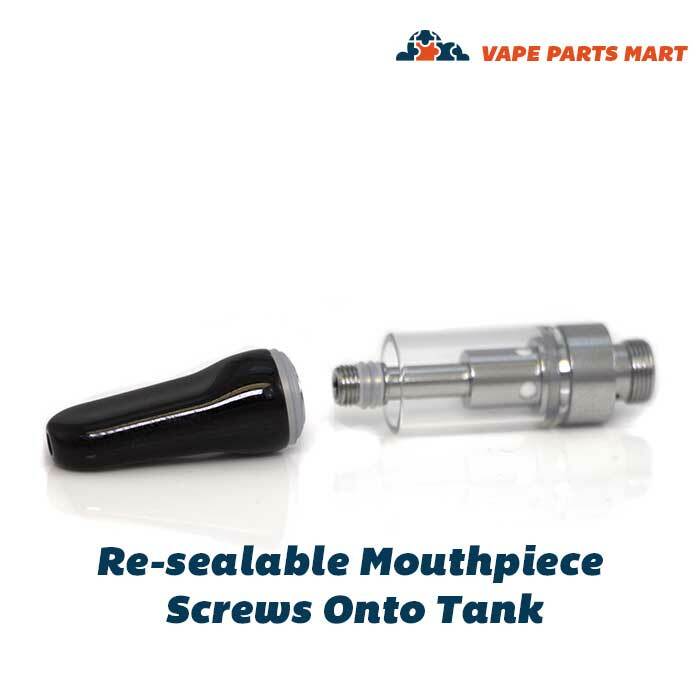 The mouthpiece will easily screw on and off when you are ready to do a CCell cartridge refill. 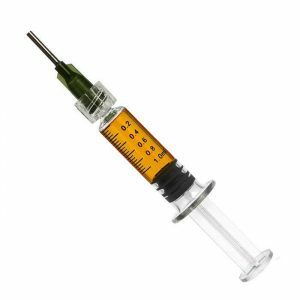 To fill the TH2, we recommend the Luer Lock Syringe which has a blunt tip needle for easy and clean extraction from the syringe. Curious what other Vape Parts Mart Customers have to say about the CCell TH2 Oil Cartridge in the 1g, 0.5g, and 0.3g sizes? Check out the reviews tab to see how our customers have rated the TH2 and you can even leave your own CCell cartridge review after your purchase. Are you looking to buy the CCell TH2 cartridge wholesale? 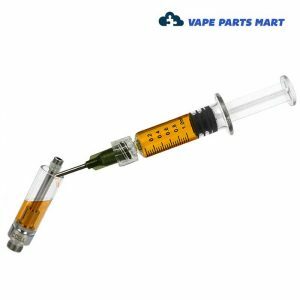 Vape Parts Mart can be your CCell wholesale resource. We provide deep discounts to our wholesale vape parts customers, therefore more profits in your pockets. Discounts start with purchases as little as just 50 units. Please reach out to our customer support team for help setting up your wholesale account. We can fulfill small wholesale orders as well as large bulk orders of up to 10,000 units. We guarantee these are Authentic CCell. Our high demand plus slow fulfillment times by distributors have forced us to purchase from not one, but two of CCell’s authorized distributors. We are telling you this because distributor 3Win has the CCell mark on the cartridges (as pictured), and distributor Jupiter leaves theirs without the CCell mark. The very bottom of your cartridge will show the mark of either 3Win or Jupiter. During this high demand time we guarantee you’ll receive authentic CCell from us, but we can’t guarantee which distributor it will come from. Best refillable cartridges I’ve purchased!! Goes great with my CCell Palm!! Very responsive during communication(Which is inportant!) More than likely will be back here than my local uneducated vape shop. Hands down the best cart. Pair it with VPMs customer service (Travis) then throw in a Palm batt-you are golden. Wow! I've been vaping oil for a few years now and nothing has hit better than this, including a double-perk dab rig. I bought the CCell Silo to go with and the combo is absolutely fantastic. Nothing compares to CCELL's TH2 oil cartridge. Great product. I've had zero problems with leaks and the cartridges are really well made. There was a bit of an issue with the tracking number when waiting for delivery but the customer service was prompt and professional, would definitely buy again. Love this battery, lasts for days. Ccell in general in a great company. Great flavor and fat rips. Not easy to load unless you heat your material but beyond that this cartridge is great. The best refillable oil cart I've found.